The Alaska Board of Game has summarily rejected a no-kill zone for wolves on state lands north and east of Denali National Park and Preserve during its first consideration of the contentious wolf buffer since 2010. The unanimous and fairly quick vote of the seven-member board came Friday afternoon during a weeklong meeting in Fairbanks amid heavy pressure from the public, wolf advocacy groups and the National Park Service to ban hunting and trapping on state lands next to the park. A Park Service study last year linked the presence of a buffer to more wolf sightings for Denali visitors, though dens near the park road were a bigger factor. Alaska Department of Fish and Game biologists say relatively low numbers of moose, caribou and sheep influence wolves more than any buffer. The board's decision marks the latest salvo in a long and recently inflamed war over predator-control policy between state and federal officials. A Park Service proposal called on the board to close a 150-square-mile area, including the Stampede Corridor, to hunting and trapping during the spring breeding season and into the summer. Another proposal from the Denali Citizens Council and Alaska Wildlife Alliance also included Nenana Canyon and called for a year-round ban. The board voted down the broader proposal, rendering the Park Service proposal moot. They did not vote on it. During Friday's deliberations, numerous board members said they heard data showing park tourism wasn't hurt by fewer wolf sightings and also that an overall drop in park wolf numbers wasn't due to the limited number killed by trappers and hunters just outside the park. There was "a lot of misinformation" in the hundreds of heartfelt comments, such as hunters staking out the park boundary, said Larry Van Daele, a retired state wildlife biologist from Kodiak who was appointed earlier this month. Van Daele said instead what he heard during testimony was that the wolf population in the park is on the rise and the Park Service is worried more about packs near the road where visitors can see them than about wolves throughout the park. "This is not a biological issue. There's no biological problem that I can find," Van Daele said. "This is purely an emotional issue." Nate Turner, a guide and trapper from Nenana and the board's vice chair, said he was dismayed at how political the buffer debate became. Turner predicted editorials in the national media saying the board ignored hundreds of public comments and "continued the slaughter." Then he referred to "all the fake news that is out there." "I'm gonna stick with what I know, which is the best science I have available, and talking to people that are very experienced in the region," Turner said. Board chair Ted Spraker, who voted in favor of a buffer in 2010, repeated his support for a land swap with the federal government. "I think we should start working together," Spraker said. "If you want to establish a buffer, let's make an equitable trade." Nancy Bale, who testified on behalf of the Denali Citizens Council and traveled to Fairbanks to hear the deliberations, said in an email that she was disappointed the board described the council's "many Alaskan and local-area members, who favored a closed area, as misinformed and emotional." "That characterization is disrespectful to fellow Alaskans who in many cases have lived for years in the area of the closure," Bale wrote. "The Board of Game certainly has the constitutional and statutory authority and obligation to conserve wolves in an area where their conservation makes sense, and state land at the northeast corner of Denali National Park is certainly such an area." The proposals attracted about 250 comments from people around Alaska and the Lower 48 urging the board to preserve the wolves and the public's chance to see them. Nearly 600,000 people visited the park in 2016. A Park Service study last year indicated the chances of seeing a wolf in the park were higher when a buffer was in place, though the link was statistically weak. Buffer proponents also pointed out that the last collared wolf in the park's storied East Fork or Toklat pack was killed by a hunter on state land last year. An average of nearly four wolves a year are killed in the buffer area, acting Fish and Game Fairbanks-area biologist Tony Hollis told the board. 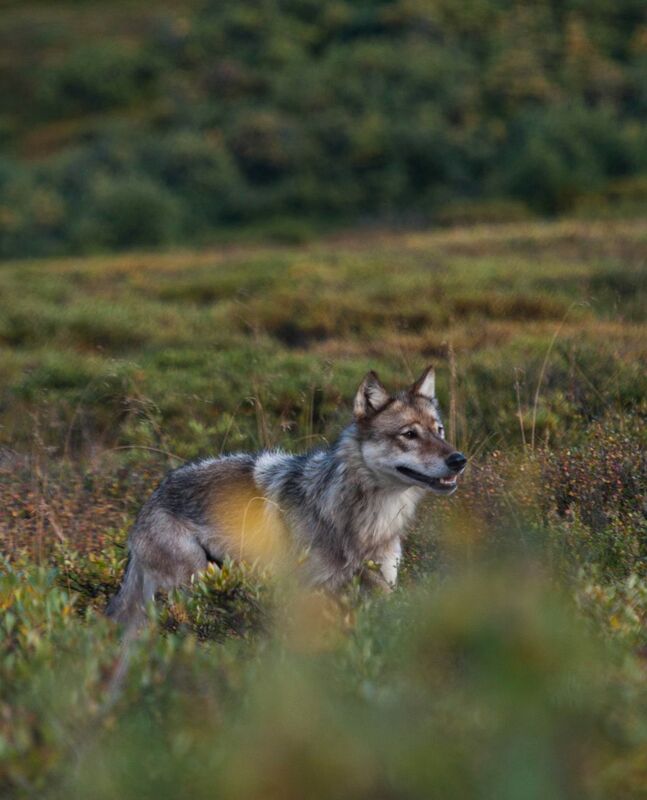 Last year's Park Service study made a statistically weak but significant connection between the buffer and wolf sightings in Denali, where people travel from around the world for a glimpse of a wolf in the wild. But Bruce Dale, director of the state's Wildlife Conservation Division, said even that "weak effect" is eliminated by study errors that counted the buffer in place for two years it wasn't. According to an NPS spring 2016 population estimate, there were 49 wolves in Denali National Park. Board chair Spraker said numbers this year were up to nearly 80, so "wolf numbers increased during the time the buffer was gone." The board won't take up another buffer proposal for three years, he said. 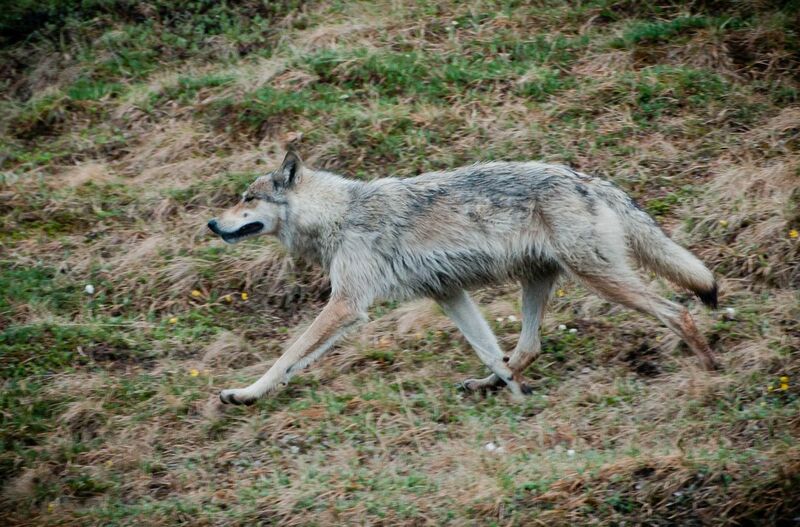 A Denali wolf buffer is also being discussed in the Alaska Legislature. House Bill 105 would establish the Gordon Haber Denali Wolf Special Management Area to "protect wolves from hunting and trapping" on state lands bordering Denali. The bill is sponsored by Rep. Andy Josephson, D-Anchorage, co-chair of the House Resources Committee. It has yet to move out of that committee.